Forty-four 420 Class teams from across Portugal and Spain competed in the annual Torneio de Vela do Carnaval hosted in Vilamoura, Portugal from 10-12 February. An invincible performance from Spain’s Pablo Flethes/Manual Paez rewarded them with a scorecard of 6 wins, a 2 and 4, to claim victory with a 17 point safety net over Portugal’s Francisco Mourao/Luis Pinheiro on 25 points. Third to Manual Fortunato/Frederico Baptista (POR). Top placed girls team were Rita Lopes/Matilde Cruz (POR) in 6th overall. The event also marked the 2nd National Qualifying Regatta for Portugal to select its teams who will represent the nation at this year’s 420 Junior European Championships, 3-11 July 2018 in Sesimbra, Portugal and the 420 World Championships, 7-15 August, in Newport, USA. 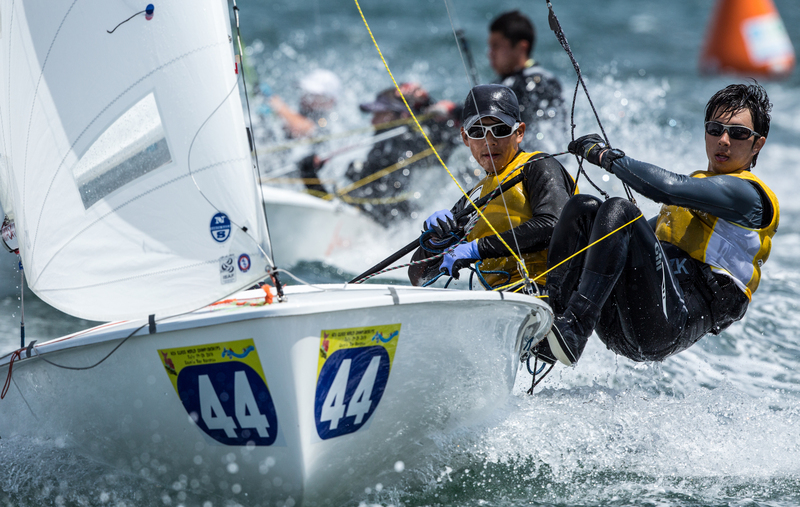 Take a look at the upcoming events taking place in Portugal and specifically at Clkube Naval de Seimbra as the 2018 420 Junior Europeans moves closer.